Mizner Country Club is a private golf community located just off Lyons Road, just one mile north of Boca Raton in Delray Beach, Florida. 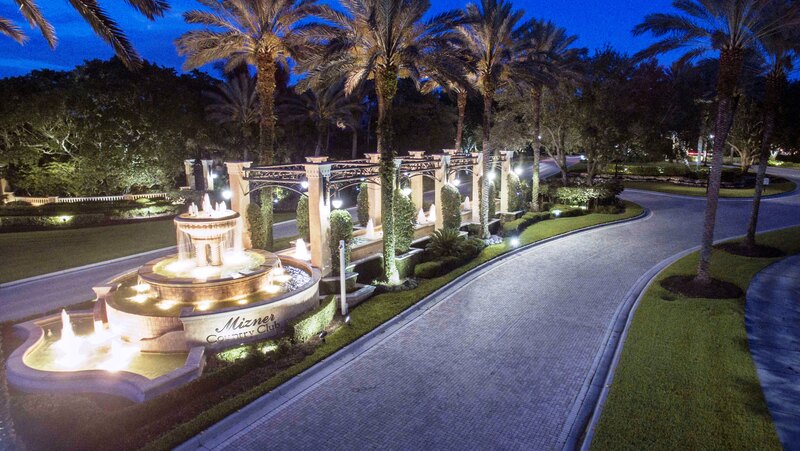 As you enter the gates of Mizner Country Club you will immediately be impressed by the lush tropical landscaping and the beautiful architectural details. With a short drive to the pristine beaches and quaint downtown of Delray Beach, residents of Mizner Country Club enjoy the resort style amenities of Country Club living, minutes away from the cool waters of the Atlantic. The centerpiece of Mizner Country Club is their exclusive Arnold Palmer Golf Course that offers members some of the best golf and amenities in South Florida. Mizner Country Club is a warm and friendly community offering a wide variety of social programs for all ages. Mizner Country Club prides itself on providing year-round quality youth and family programming and offers its young residents the fun-filled Mizner Kid’s Corner. Whether you enjoy tennis, swimming, golf, fitness programs, walking, jogging, biking or just a little relaxation and socialization, Mizner Country Club has everything the whole family will enjoy. Homes in Mizner Country Club range from spacious 2 bedroom villas to grand estate homes. For a private tour of Mizner Country Club and other Delray Beach Luxury Home Communities, please contact us at Mizner Grande Realty. We specialize in South Florida's finest properties.